Justin Holton did not set out to live a life of selfless heroism, but as with so many true leaders, a commitment to serving others just came naturally. 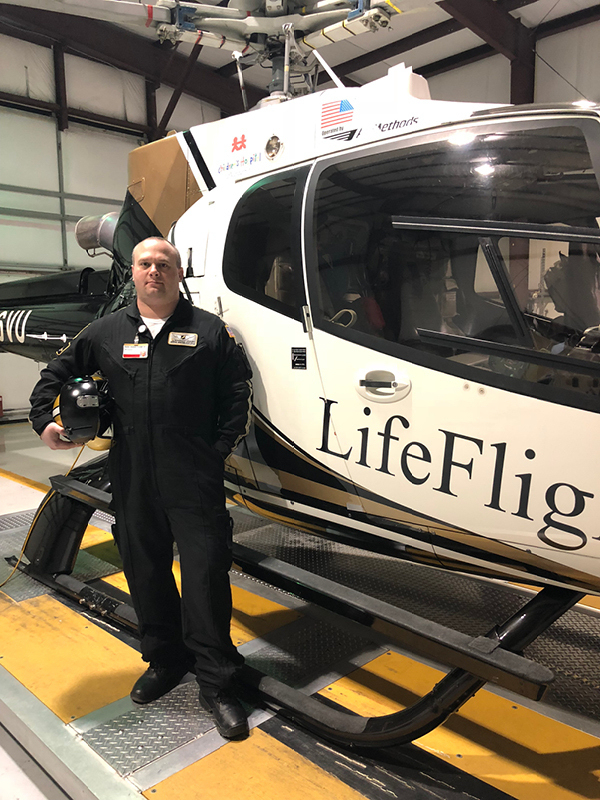 Today Holton works as a critical care flight paramedic and for Vanderbilt LifeFlight, a critical care air medical transport service in Nashville, Tennessee. It is a position that requires confidence under pressure, bravery in the face of adversity, and commitment to a higher cause—lessons that Holton was first exposed to during his time as a cadet at St. John’s Military School. Born in San Jose, California, Holton and his family moved to several cities, all before Holton entered high school. “I was born in Southern California, then my family moved to Arizona, then Georgia, and then Colorado,” recalls Holton. As a freshman, Holton enrolled in a large public high school in Greenwood Village, Colorado. Having experienced so many school transitions and academic interruptions, Holton struggled to engage in his academics fully. Realizing that Holton would benefit from an environment with more structure and oversight, his parents spent the next several months searching for an alternative education program that would help Holton recommit to his education. Holton arrived at St. John’s to continue his education during the second semester of his freshman year. For Holton, adapting to a life of discipline was not a challenge. Instead, the struggles he faced surrounded his need to catch up to his peers academically. Fortunately, the structure of military school helped Holton remain focused and provided him with the distraction-free environment he needed to be successful. For Holton, it was not long before his hard work and commitment were validated. Not only did Holton benefit from a structured learning environment, but he was also inspired to succeed by the influence of the school’s faculty and staff. Today, Holton recalls the positive impact of one leader in particular. To Holton’s disappointment, he transitioned to a private academy in Colorado to complete his junior and senior years of high school. When Holton began his paramedic training, something about the course material, the need for disciplined hard work, and the opportunity to help others clicked for him in a way his previous work never had. Holton became an EMT in May of 2002, and a paramedic in January 2009. He has worked in the Critical Care Emergency Medical Transport Program at Vanderbilt LifeFlight since July of 2014. When asked if his experiences at St. John’s have impacted the success he has had as an EMT, Holton answers quickly. Today, a husband and a parent of a six-year-old and a nine-year-old, Holton has some advice for parents considering a military school education for their children. “I would say, if you can, send your son to St. John’s. As an adult, my biggest personal regret is not being able to finish my junior and senior year at St. John’s.” Holton has advice for future new boys as well. To the faculty and staff at St. John’s who helped Holton attain his current level of success he has a simple, heartfelt message.